Warning! your Chasis has been opened. 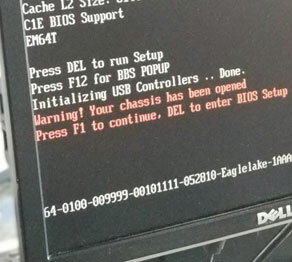 Press F1 to continue, and DEL to enter BIOS Setup. At this stage the solution was kinda obvious. Two things: I’m thinking maybe Computer case Sensor has been knocked out or this message just has to be cleared from the BIOS. Somehow the Bios knows that I opened up the computer to do some work. If you press F1 the computer boots just fine but the message will reappear again when you restart the Computer. This message might be common for other brands, but in my case it is an Acer Veriton. I went into the BIOS and cleared the message. it was all good. You can also just disable the Chasis warning entirely. 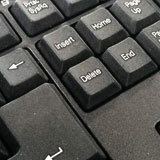 Go into the Bios by Pressing DELETE Key (Option might be different on other units). F1 will continue to boot the computer up to windows. This basically ignores the warning message. This warning will show up again after a cold restart. (Cold Restart is basically shutting down the Computer and turning it back on with the Power Button). Every Bios Setup is different. 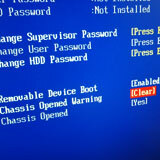 Navigate to Bios Security features. head down Chassis opened warning and choose clear. You might find out that the message might still be there after choosing this option. tab through the options and choose disable to stop this message from showing up no matter what. Make sure you save the changes you made. In some Bios setup the option available will be press F10 before exiting to save. Some times all the above might not work if your CMOS battery is weak. 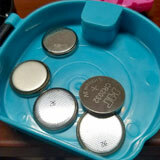 The CMOS battery is a watch like battery (Flat and round). It stays inside the motherboard and it is usually visible. Its job is to make sure the time is correct and the settings made in the Bios are remembered. This will be available in your Windows OS and can be pulled up.